OK, you better be ready to be amazed by this video released by the NASA Jet Propulsion Laboratory. I suggest you follow their Youtube channel. This is Mars like you’ve never seen it before, from space and in high resolution. The footage was taken by the Mars Reconnaissance Orbiter Satellite over a time span of many years. It arrived on March 10, 2006 and has orbited over 45,000 times since then. 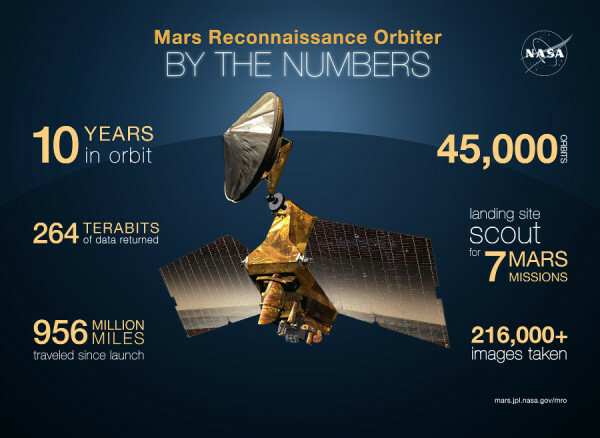 Visit the offcial NASA Website for more information and photos of the MRO Mission.